Producers of some of the world's most advanced business aircraft, Gulfstream Jets provide innovation and in-flight luxury to travelers. Superb comfort mixes with exceptional performance capability on the Gulfstream G280 super-midsize business jet. A true leader in its class, the Gulfstream G280 is an ideal executive aircraft for jet setting around the globe. Lease an aircraft that has what it takes to go the distance with the Gulfstream G450 executive jet. Renowned for its world-class speed and exceptional reliability, the Gulfstream G450 is a popular option for business and private travelers alike. When performance and speed matter most, the Gulfstream G500 is the solution to all your business aviation needs. 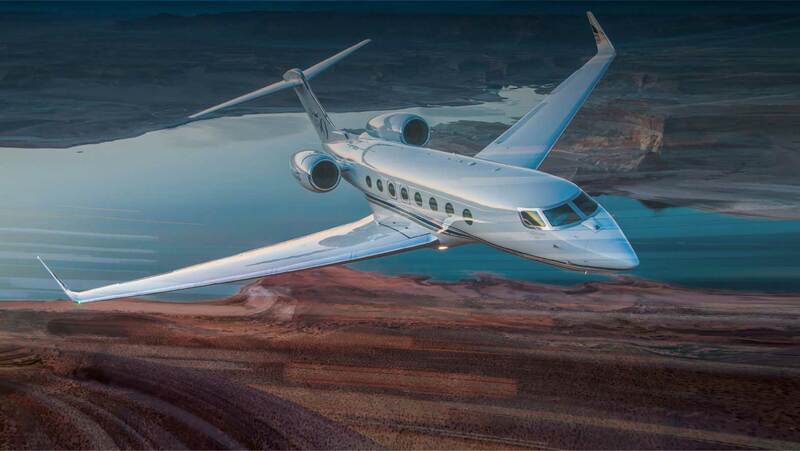 Performing at high speeds for incredible distances, the Gulfstream G500 will help you outpace the competition on your way to new opportunities. Winner of the prestigious Robert J. Collier Trophy, the flexible performance and exceptional quality of the Gulfstream G550 is fully equipped to help you stay productive in the air. Take your business further with up to 12 hours of maximum flight time all while flying in style. As one of the industry's biggest breakthrough, the Gulfstream G600 helps set the pace for the next wave of executive business jets in the market. With its range of comfort, flexible amenity offerings and impeccable speed performance, you will be soaring ahead with the Gulfstream G600. Featuring one of the lowest pressurized cabin altitude of any business aircraft, the Gulfstream G650 redefines comfort and relaxation as you travel to destinations previously unheard of for non-stop flights. The Gulfstream G650ER combines high-speed performance with all the comfort amenities you could ask for to help your business reach new opportunities. Why Gulfstream? As one of the leaders in business aircraft evolution, Gulfstream Jets have established its place in private commercial aviation. Whether you travel for business or pleasure, Gulfstream Jets will help you stay connected like no other for the finest experience in flight. Providing you with unparalleled support for unmatched excellence, the private jet financing team of Global Jet Capital offers a customized aviation financing solution tailored to your needs. Discover the value behind Gulfstream Jet financing and contact a representative from Global Jet Capital today.